A conservation charity has outlined its reasons for opposing controversial plans to build zipwires across a Lake District reservoir. The Friends of the Lake District are also encouraging members of the public to submit their objections before the deadline on 2 January next year. Tree Top Trek, which has a high-wires adventure facility with a small zipwire near Windermere, want to construct an ‘activity hub’ with two four-line zipwires across Thirlmere, plus an 18km family-friendly cycleway round the shores of the lake. The company has submitted a formal application for the hub to the Lake District National Park Authority. Laura Fiske, planning officer for the Friends, said: “If approved, this application would have significant harmful impacts on the landscape and tranquillity of the Thirlmere valley. “Fundamentally we consider that introducing commercial activity into this area would be at odds with the reasons for the designation of the Lake District, as it conflicts with laws and planning policies that protect the spectacular landscapes of our national parks. “The development would also create an unacceptable precedent; if approved it would open up the whole Lake District national park and other national parks to inappropriate development. 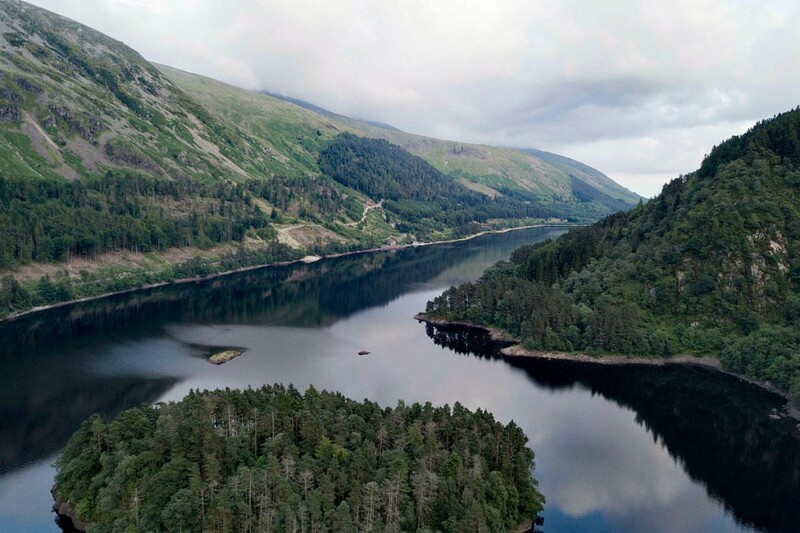 As the birthplace of the conservation movement, Thirlmere makes an important contribution to the recently awarded world heritage site status and the impacts of the development on an internationally, as well as nationally, protected landscape must be considered. Tree Top Trek is also urging supporters of the plans to write to the national park authority to make their views know. The company said the hub would meet some of the Lake District national park’s strategic objectives, partnership plans and the local enterprise partnership priorities. Easier gradients would help less able cyclists to use the proposed tracks and the scheme would have a minimal impact on traffic. It would have minimal visual impact and moderate landscape impact and would boost the local economy. The Friends of the Lake District said the Open Spaces Society, the British Mountaineering Council, and the Fell and Rock Climbing Club of the English Lake District also support their position in opposing the application. A spokesperson said: “We would support a ‘family friendly’ cycleway but don’t believe that the benefits of creating this would outweigh the negative impacts of the zipwire. “We would also oppose any related commercial development that may arise from the creation of the cycleway. 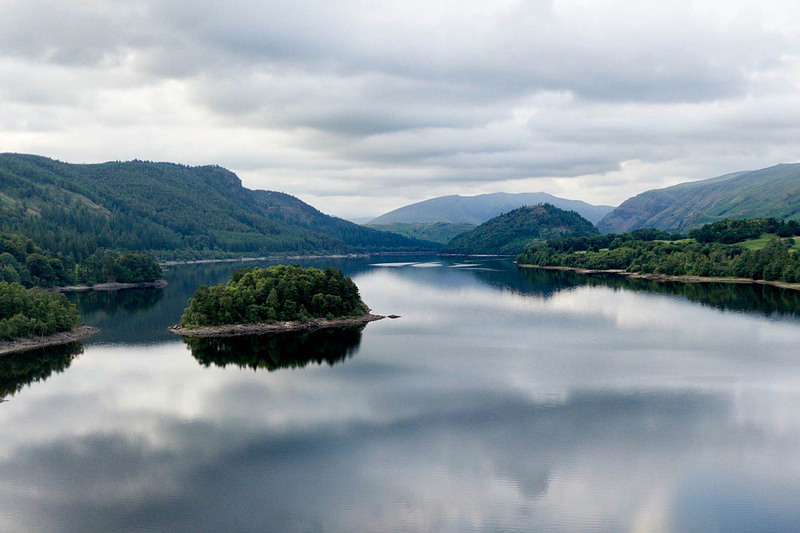 “Supporters of the proposals have argued that Thirlmere is a degraded landscape because it is a reservoir and not a lake. We do not agree. Ms Fiske said: “While Friends of the Lake District supports the need to strengthen the local economy with appropriate development in the right location, this is inappropriate in the open countryside. “Since the establishment of the national park, development has rightly been restricted to protect the outstanding beauty and sensitive environment of the Lake District. The right to enjoy free access to the unspoiled and spectacular landscapes is vital to Cumbria and the Lake District’s tourism industry. The Friends said they are currently writing their formal response to the application which will be submitted to planners before Christmas. Full details of the application are on the Lake District National Park Authority website. A Zip Wire will be a Nine Days Wonder. I have just had a holiday in Costa Rica. Zip Wires are the "in thing" over there. Every small town seems to have one, plus high level forest walks and gondolas. The peace of the rain forest is shattered by screaming tourists as they hurtle down for two or three minutes of adrenaline rush. Don't do it Thirlmere, keep the peace, it's worth an awful lot more than the short term excitement of a zip wire. Have to agree with Jane (above). Thirlmere is a place of peace and quiet. I have no objections to the cycleways but the zip wire is so out of place. If people and the 'commercial world ' want that sort of adrenalin rush and income then put up a large tower on Blackpool sea front and run it there. Build it! I think it would be great to encourage more people to enjoy the Lake District in whichever way possible. All these nay sayers who want everything their own way spoil it for lots of others, while we’re at it let’s also remove the speed limit on Windermere and bring back the business to the boat dealers! @ Turner Walker, there were 18.4 million visitors in 2016 to Lakeland, no zip wire is needed. Why spoil a beautiful, quiet and tranquil place for all those people that appreciate what the Lake District has to offer? For the sake a small number of people who enjoy artificial activities that are more suitable in a theme park? If people want this sort of activity they can go to Blackpool or Alton Towers. Or if they want an adrenaline rush in the Lakes why not go climbing, scrambling, ridge walking? All this asking for everyones opinion for or against the zip wire is just a formality. I suspect the decision will already have been made by someone somewhere. Once it goes ahead I wonder how many of the objectors will end up waiting in line to pay for their 3 minutes of fun. I think I'll come out of retirement and apply for the job picking up all the litter that will suddenly turn up. The thing is, not everyone who comes here wants peace and quiet. A good many of the visitors are board teenagers who barely look up from their mobile phones. They're brought here by parents who couldn't really give a stuff about the place and the only fun they can offer is a go on the new zip-wire. Then its back to the phone to tell all the other board teenagers what they've done. Those are the people this attraction will attract. I would urge everyone who opposes this proposal to make their opinions actually count, - by directly corresponding with The Lake District National Park Authority. Whilst posting here allows an insight into people's general thoughts on the matter, it won't help to stop this profit driven proposal. Which, in my opinion, cannot be anything but detrimental to the overall tranquil beauty of Thirlmere Valley. Anyone who takes the time to view and read the many planning application documents (available via the link in the original post above), will find it quite obvious that this proposal is intended to be more than a "flash in the pan". The scheme will cost between £1,7 and £3 million pounds to implement, (depending on which document you read), with an estimate of £3million annual spend from fifty thousand zip-wire riders. (If my math is correct, with £3million spend, divided by fifty thousand riders, the cost of a single ride would be be £60,00). I fail to see how this scheme satisfies the Lake District National Park Core Strategy CS02 which states (in respect to its spatial development plan for the LDNP's open countryside) "Exceptionally, we will only support development in the open countryside where it demonstrates - an essential need for a rural location, or, it will help to sustain an existing business, including farm diversification schemes, or, it provides for a proven and essential housing need, or, an appropriate reuse, redevelopment or extension of an existing building". How can zip-wires be classed as "an essential need"?, or indeed, fulfil any of the other stipulated criteria? I am certainly not against zip-wire attractions per-se. There must be countless places across Britain that would be eminently suited to such activities, with the potential for equally profitable annual revenue. - But for me, the tranquil heart of the Lake District's outstandingly beautiful scenery is not one of them. The County Council are removing Wind Turbines from the National Park which should be an indication that a refusal of this scheme would be for the same reasons. United Utilities obviously backs this scheme who complaints should be aimed at. If we had the choice of where to purchase our water from we would have a lever to use against them. As for the cycle way then we will see extra car parking in the future. If you look at Whinlatter visitor Centre few if any of the cyclists arrive by Bike and the car park has doubled in price and size. I think this area is the perfect place for this type of tourist activity. It would be best if it didn't come at all but if it does, this would be the ideal place. Lets be honest, the west side of Thirlmere doesn't exactly get a huge number of visitors. I wonder how many of the people shouting "NO" have actually visited the area to walk, cycle or whatever in say the last 18 months. Not to have a look at what's going on with the zip-wire, just as a normal visit because they have a particular fondness for this specific area............. silence........I thought that would be the case. #Dave F – Re your statement: - QUOTE“United Utilities obviously backs this scheme who complaints should be aimed at”UNQUOTE. Yes, UU do indeed back (approve of) the scheme, presumably because they will receive a significant revenue from the proposer and main financial investor in the scheme, Treetop Trek. However, formal complaints should not, as you suggest, be addressed to United Utilities, since they simply won’t count for anything. The only complaints that will have any significance, (as indeed will letters voicing approval of the scheme), will be those that are addressed to The Lake District National Park Authority. It is they who are the relevant planning authority for this planning application. It is they who will consider the pros and cons of the application, and it is they who will be the final arbiters of whether the application gets approved or not. So please, everyone, if you want to make your voice heard on the matter, make sure it is heard by the right people! #Nigel – responding to your allegation of “……silence……” etc. Are you aware of the existing cycle tracks in the valley? Are you aware of the existing nature trails – for example those at Launchy Ghyll and Swirls? There are countless existing walking opportunities to be had within and around Thirlmere Valley. – Indeed one of the main start points for the walk up to Helvellyn and other peaks bordering Thirlmere is located at High Park Wood carpark. Thousands of people begin their fell walks there every year. Many people, myself included, stop and enjoy the delights of Thirlmere Valley. – But we are dispersed all over the valley and its surroundings, and not concentrated at a particular location, as would be the case for zip-wire users. We enjoy things at a pace where our activities actually allow us to appreciate our surroundings – Which won’t be done when screaming and shouting whilst hurtling along a zipline. Zip-wires are intended for one purpose alone. - To provide an adrenalin rush. – They are not, in any shape or form, designed so that the participant can appreciate the beauty of the surrounding scenery through which they will be rapidly descending. @ Nigel, I have been to Thirlmere 8 times in the last 18 months. The number of visitors to Thirlmere would be quite difficult to count I would say. There are car parks at Legburthwaite, Stannah, the layby after Thirlspot, Swirls, Station Coppice, Wythburn, Dunmail Raise as well as the car parks and layby on the western side of Thirlmere. All of these parking areas can be used to access Thirlmere and its fells. Don't forget the people staying/parking at the Kings Head and Dalehead Hall. Some people use buses to get around and there are numerous bus stops people can use to access the fells above Thirlmere along with the shoreline. How would you count those people? We use the bus and get off at Shoulthwaite, Smaithwaite, Swirls, Wythburn, Steel End and Dunmail Raise to visit Thirlmere. We have also walked from Rosthwaite to Ullscarf and descended to Thirlmere. It is less populated an area than say Ullswater or Derwent Water but Thirlmere does get plenty of visitors. Can I ask how many times you have been there to walk or cycle? It seems from your comments you don't appreciate the valley so I assume it wouldn't be somewhere you do visit regularly yourself? If you read my post again you'll notice I say it would be best if it didn't come at all, and I sort of aim my remark about visitors to the west side of the valley; that's also in my post. So, I actually have the same opinion as you. I'm simply being realistic and saying if the thing does get approval then this could well be the best place for it. or perhaps put a better way, there are many worse places they could have chosen. Actually, I've live my whole life in the opposite side of Dunmail Raise to Thirlmere so yes, I am aware of cycle tracks, nature trails and probably a thousand nooks and crannies you never even knew existed. At least once every couple of weeks. It's a five minute drive from home and an ideal place for dog walks. @ Nigel. I live down in Lancashire but have walked that area several times this year. The fact that the West side is quieter is one of its attractions. Like you say there are some lovely nooks and crannies and it's well worth a "furtle" about. Visited the top of the Benn this year on a cracking day and what a lovely spot that was looking up the lake towards Dunmail. I do think the traffic will be horrendous, the screeching and shouting annoying and litter will increase massively. The best place to put zip wires would be in quarries. I do not agree to any sort of adventure park with zip wire's or cycle tracks or tree top walks anywhere in the thirlmere valley. I visit thirlmere on a regular basis both in summer and winter & love to experience the tranquility & scenary thirlmere is a beautiful quiet place & would be destroyed if this project was allowed to go ahead. There are plenty more places around the country such as go ape etc that people can visit, places that are already established so please let's leave places like thirlmere alone. I've been visiting the Lake District for over 50 years and have just moved to a house on the edge of the national park. If I thought for one minute that there was the possibility of this sort of business venture getting the go ahead in the beautiful and tranquil area of Thrlmere I would have had second thoughts. The idyllic and peaceful countryside does not need this intrusion. People do not want to see such an 'invasion'. There would be more traffic, more people, more car parks, more litter, more noise,more visitor centres, less peace and quiet, less enjoyment of the area, a spoiled view, unwanted zip wire intrusion, and so much more. I am actually appalled that this venture is even being considered. What about conservation and all that goes with it. This venture will destroy forever the charm of Thirlmere, and that would be horrendous. Sometimes folk have to understand that they can't have what they want, and this is one of those occasions. Leave Thirlmere alone!!! I also should have said that a precedent should not be set. If this gets the go ahead who knows what might come next...a zip wire down Catbells??? Keep the Lake District as pure as can be. Don't poison it with half baked money making ideas.